If you enjoy scenic valleys, a mild climate, beautiful mountains, abundant outdoor recreation, art and/or trains, you should put Roanoke, Va., and vicinity on your must-see list. This appealing city of about 100,000 (324,000 in the region), set against the backdrop of the Blue Ridge Mountains, has all of that and more. 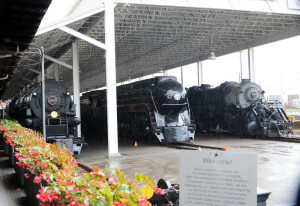 Three steam locomotives built in Roanoke are housed at the Virginia Museum of Transportation. The one in the center, the Spirit of Roanoke, still pulls trains for excursions. The geography that made the city just west of the mountains on the Roanoke River a natural trade center has shaped its history. 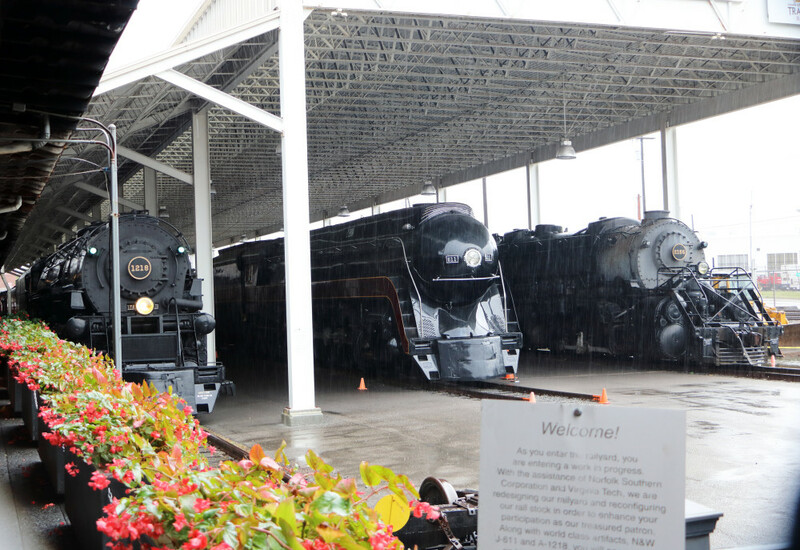 It became a significant railroad town in the 1880s and has evolved as a major freight rail center that celebrates its rail history with two excellent museums and a railwalk downtown. 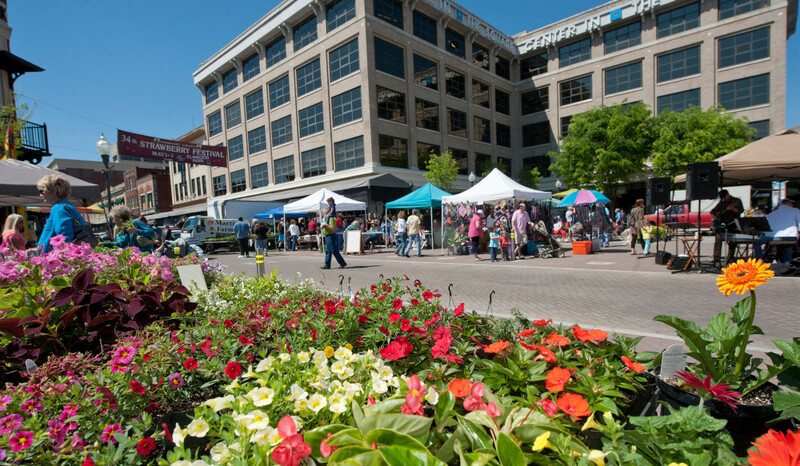 Roanoke also has a lot of urban appeal because of its emergence as southwestern Virginia’s epicenter for business, education, tourism and health. 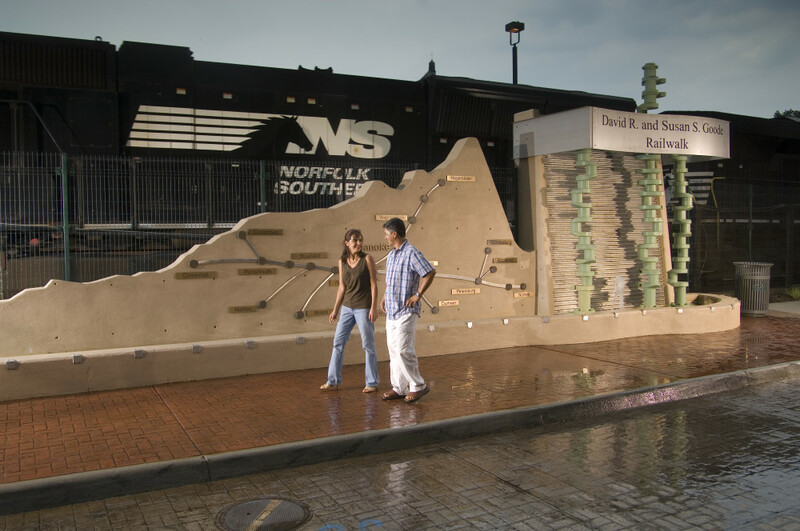 The David R. and Susan S. Goode Railwalk’s pedestrian thoroughfare offers informational displays about Roanoke’s railroads and a safe view of passing Norfolk Southern trains. Roanoke is easily reached by highway, air or train. • Roanoke-Blacksburg Regional Airport, six miles from the city center, is served by four airlines and has good service to many East Coast locations. There is a bus link to Lynchburg’s Amtrak station. Direct train service to Roanoke is expected in late 2016 or 2017, bringing back passenger trains for the first time since 1979. • Roanoke is on Interstate 81. It is 6½ to seven hours from Atlanta, accessible through North Carolina by I-85 and I-77 or through Tennessee via I-75 and I-40. The historic Roanoke City Market, open daily. • The 1/3-mile David R. and Susan S. Goode Railwalk’s interpretive displays. The O. Winston Link Museum for some spectacular black-and-white rail photography from the steam era. • The Virginia Museum of Transportation, home of restored and operating steam locomotive N&W No. 611 and many other historical locomotives built at the Roanoke Shops. You can check out No. 611 on YouTube at youtu.be/MjKTpFlta2o. The Taubman Museum of Art. 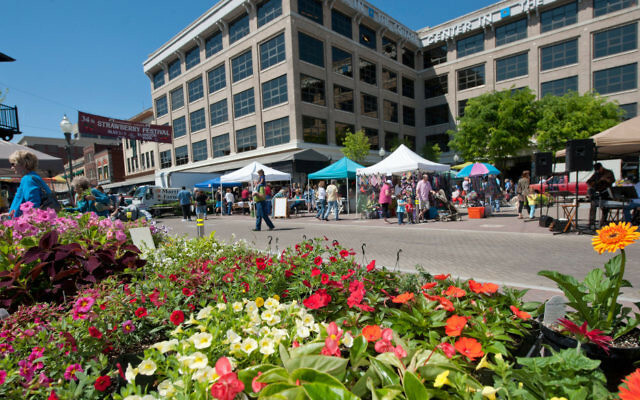 The historic City Market is a downtown gathering place offering an array of shops and restaurants. Kayaking on theUpper James River Water Trail. Taking a drive on the Blue Ridge Parkway. • Hiking a section of the Appalachian Trail or other Blue Ridge trails. • Visiting Black Dog Salvage (as seen on the DIY Network), a 40,000-square-foot warehouse filled with antiques and commercial salvage items. • Participating in a Roanoke food tour (www.roanokefoodtours.com). • Visiting Natural Bridge Park, where George Washington carved his initials when he was a young surveyor. Because Roanoke is a regional business center with nice hotels and museums and some fine restaurants, the appropriate dress should be a bit more formal than resort casual. Business casual that is appropriate for the weather is always in order. For recreation in the surrounding Blue Ridge, though, typical activewear is the norm. Mobility level: Low for intown strolling and shopping, moderate to high for Blue Ridge explorations on foot, boat or mountain bike. When to go: Any time. Spring is gorgeous, summer is pleasant, and fall color is incredible. Winters are cold but not severe. Where to stay: The classy Hotel Roanoke is downtown. The MainStay Suites Airport is a good choice for its proximity to restaurants, a mall and the airport. Special interests: Mountain exploration, railroads and rail history. 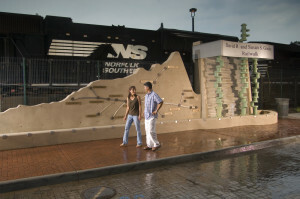 While Roanoke is not a major Jewish center, the city is more Jewish than many other small cities in the South. The striking architecture of the Taubman Museum of Art is an important part of Roanoke’s walkable downtown. Roanoke has two Jewish congregations, Beth Israel (Conservative) and Temple Emanuel (Reform). It also is home to a Jewish Community Council of Richmond branch and the Jewish Community Preschool, a joint effort of the two congregations. As the city grew in the 1880s, the first Jews arrived and soon created a congregation, Beth Jacob. An influx of European immigrants eventually led to a split. In 1906, more traditional members left to start a Conservative congregation, soon known as Beth Israel, and the remaining members changed their name to Temple Emanuel. During the boom years after World War II, Jews continued to settle in Roanoke. By 1960 there were 800 in town, although they were excluded from most social clubs and some other organizations. The community dealt with typical anti-Semitism and exclusion until the civil rights era erased the formal exclusion. Today, the Jewish population of Roanoke is just over 1,000, and both congregations are vibrant and active. The Taubmans are a prominent Roanoke Jewish family. Advance Auto Parts, founded by Arthur Taubman in 1932, is Roanoke’s lone Fortune 500 company. Arthur was inducted into the Southwest Virginia Business Hall of Fame. Nick Taubman was named one of Roanoke’s 50 most influential people in 2001, and from 2005 to 2008 he served as the U.S. ambassador to Romania. The family has been influential in Roanoke’s arts community. In the 1950s, Grace Taubman served on the board of Roanoke Fine Arts and helped develop the Roanoke Symphony Orchestra. 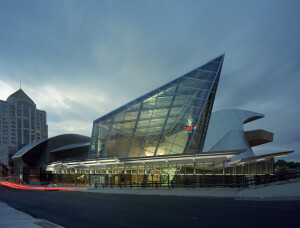 In 2008 the family made a large donation to what is now the Taubman Museum of Art in downtown Roanoke.